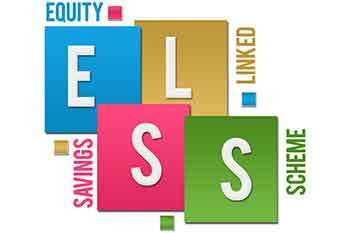 Equity-linked savings schemes, commonly known as ELSS, are mutual funds that primarily invest in equities. ELSS offer higher returns due to investment in the equity market, along with other tax benefits under Section 80C of the Income Tax Act. With expenses rising faster than incomes are increasing, everyone is looking to have alternate sources of income. These alternate income sources help one lead a comfortable lifestyle without having to worry about savings. However, it is imperative that one chooses an investment vehicle that suits his/her needs while providing optimum benefits. This is where ELSS (equity-linked savings schemes) come in. Before understanding why you should invest in ELSS, let us take a closer look at it first. Investing in ELSS is a good option due to the multiple benefits associated with them. If you are looking for a reliable investment avenue with better returns, then you should invest in ELSS. 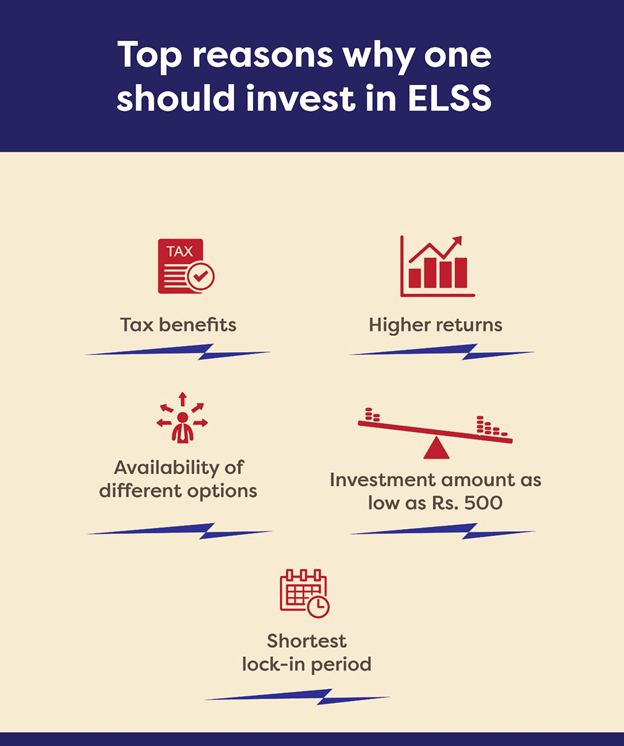 One of the most important reasons for investing in ELSS is the tax benefits they offer. ELSS investments are considered for tax benefits under Section 80C of Income Tax Act, according to which you can avail a tax deduction of up to Rs1,50,000 annually based on your ELSS investments. Apart from this, you get tax-free capital gains and dividends up to Rs1,00,000 annually (as proposed in Budget FY19) for investments held over a year. For long-term capital gains (LTCG) over Rs1-lakh, you need to pay 10% tax. Since ELSS invest in equities, the average annual returns they offer are higher than other investment vehicles, meaning they provide excellent capital appreciation. You not only save money on taxes but you also get higher returns with a moderate risk. ELSS have proved to give returns of ~14-16% annually, especially on long-term investments. This would help one achieve their financial goals and accumulate wealth at the same time. There are many ELSS funds to choose from, each offering a diverse portfolio of stocks. This gives you the freedom to choose a portfolio that matches your financial goals. With a good fund manager and a suitable investment portfolio, you can earn very good returns by making investments in ELSS. If you are looking forward to making investments but are short of funds, then you need not hesitate. You can start investing in ELSS with an amount as low as Rs500. This way you can invest in smaller amounts while reaping the benefits of ELSS. SIPs (Systematic Investment Plans) help invest pre-decided amounts every month with discipline. ELSS have the shortest lock-in period of three years among all tax-saving schemes. This gives you the freedom to update your investments with time.